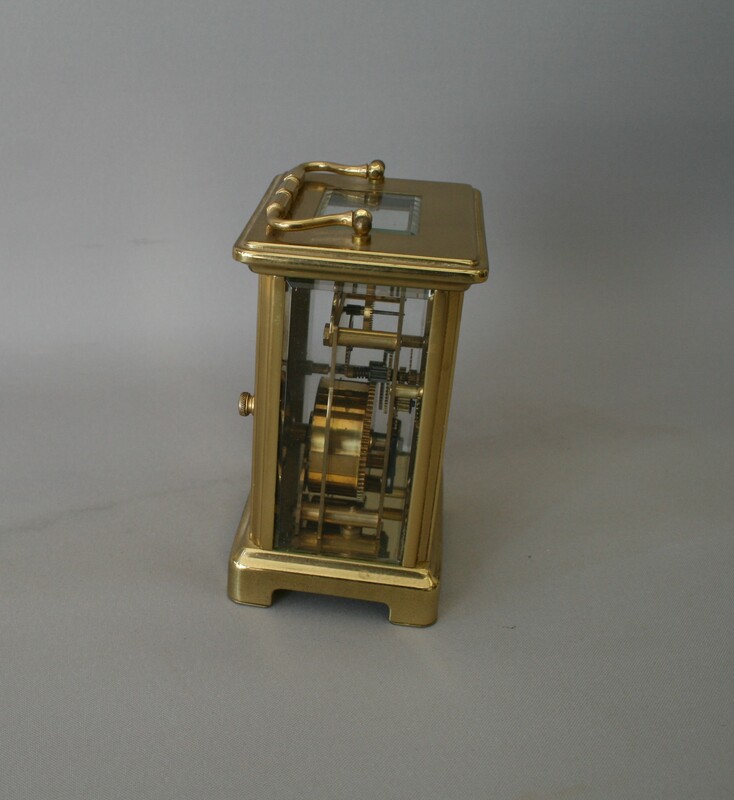 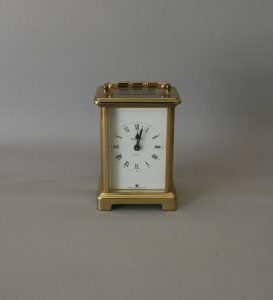 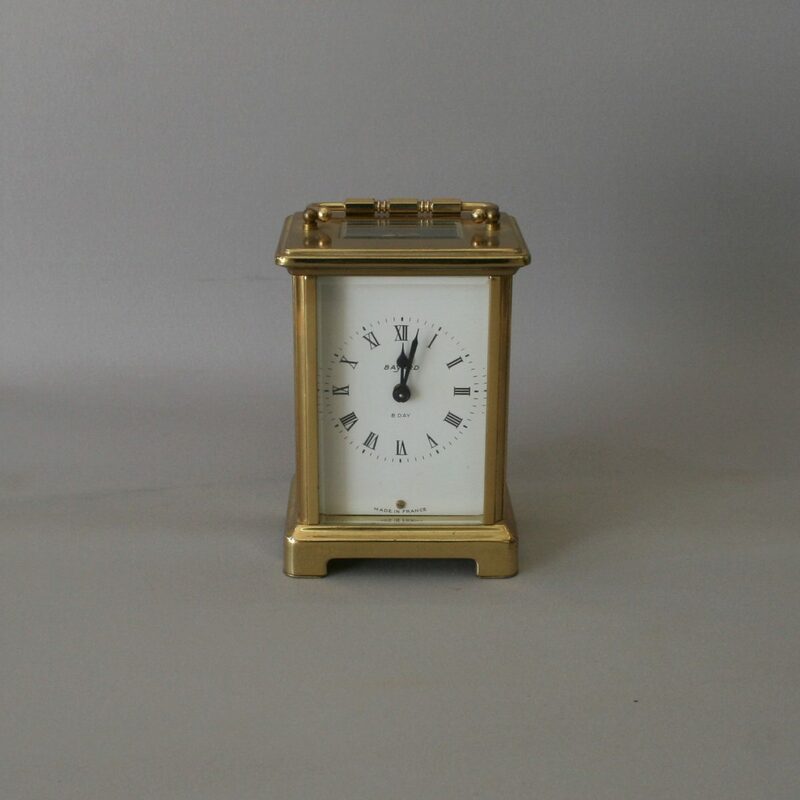 A Bayard carriage clock with a solid brass case. 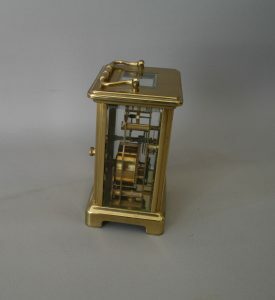 It has bevelled front and side glass, and a glass panel to the top to show the movement. 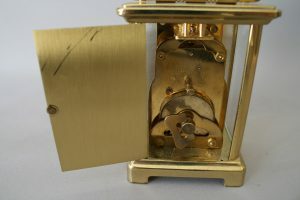 The front face states ‘Bayard, 8 day, Made in France’. 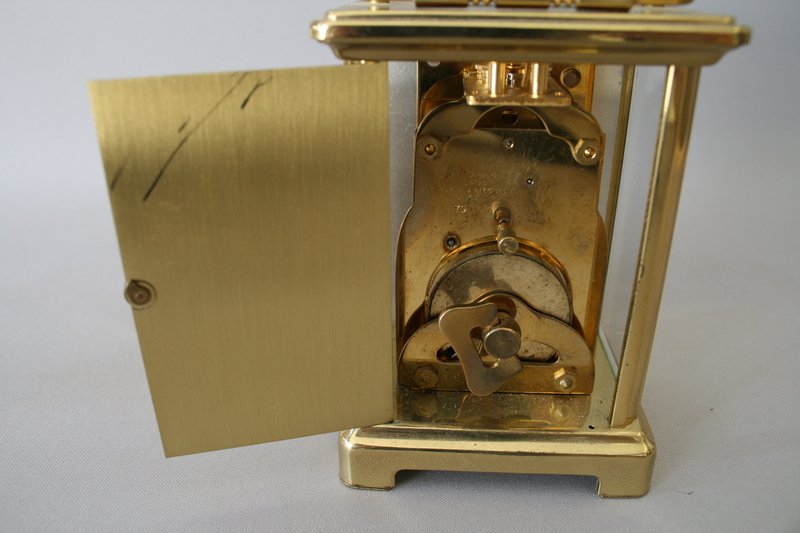 The back door opens to show the movement, and is engraved with 7 seven jewels/ unadjusted/ Duverdrey & Bloquel/France/79.